The Echuca Branch of the Victoria Police Blue Ribbon Foundation has been active since 2006. Funds raised by the Echuca Branch support the purchase of vital equipment for the George Henry Taylor Emergency Department at Echuca Regional Health and other key projects. In 2017, the Echuca branch of the Victoria Police Blue Ribbon Foundation donated $100,000 to Echuca Regional Health for the installation of a short stay unit within the emergency department in honour of Senior Constable Peter Geddes. The Echuca Branch conducts major fundraising events each year. Through the generous support of the Moama Bowling Club an ‘Inside Story’ night is held annually to which approximately 200 members of the community attend. The Echuca Branch also holds another fundraising event in August each year. We would like to thank the Echuca-Moama community, our committee and our major supporters for their continued support. 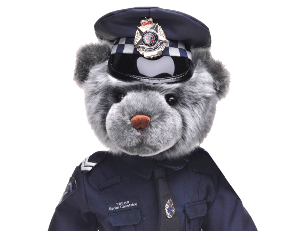 If you wish to support the Echuca Branch of the Victoria Police Blue Ribbon Foundation please contact us at enquiries@erh.org.au. New members and volunteers are also welcome.